Sometimes work parties last all weekend. 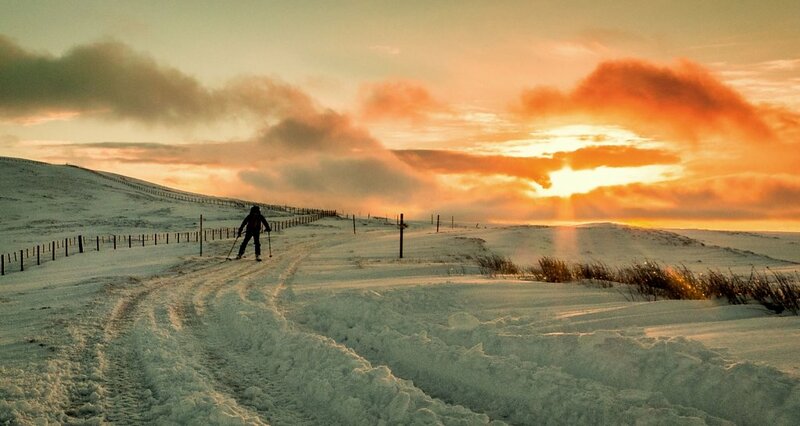 When Alan Mackay of winterhighland came down from Inverness in August 2016 to install additional webcam components and solar panels, we all camped on the hill to save on time and costs. 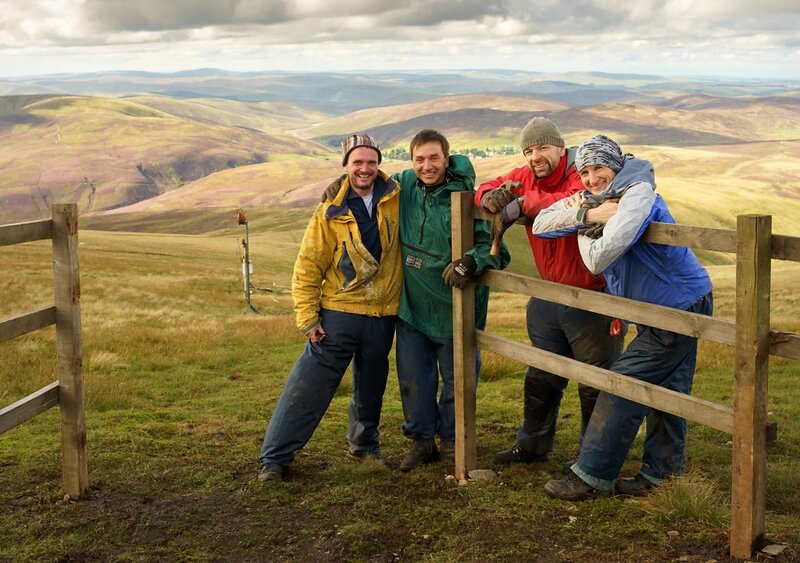 Ross of Moffat, Anjo of Wanlockhead and Des and Cath of Edinburgh pose against our latest handiwork, a safety barrier to ensure users cannot approach the moving parts of the rope tow machinery without triggering a switch which will stop the engine. Work party group playing on the hill before we'd brought up the engine, or built the shed around it. 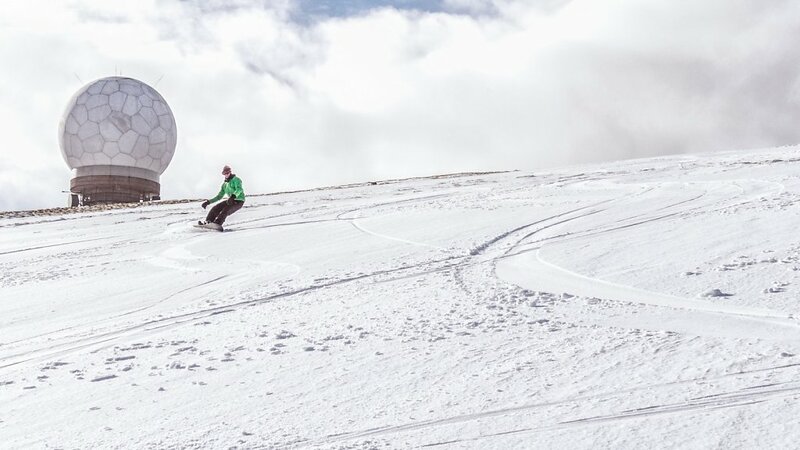 Volunteer and snowboarder, Tim Mullens, enjoying fresh snow. At sunset, after a day's play up near the summit. 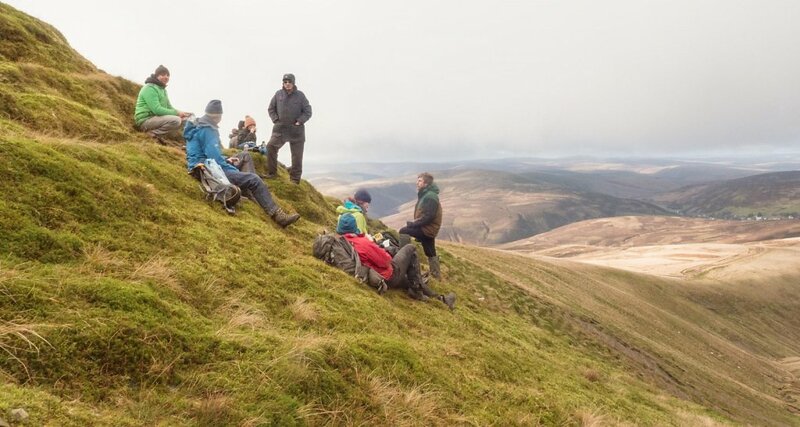 The slopes of the gully provided adequate shelter from the wind for sandwiches and hot coffee. 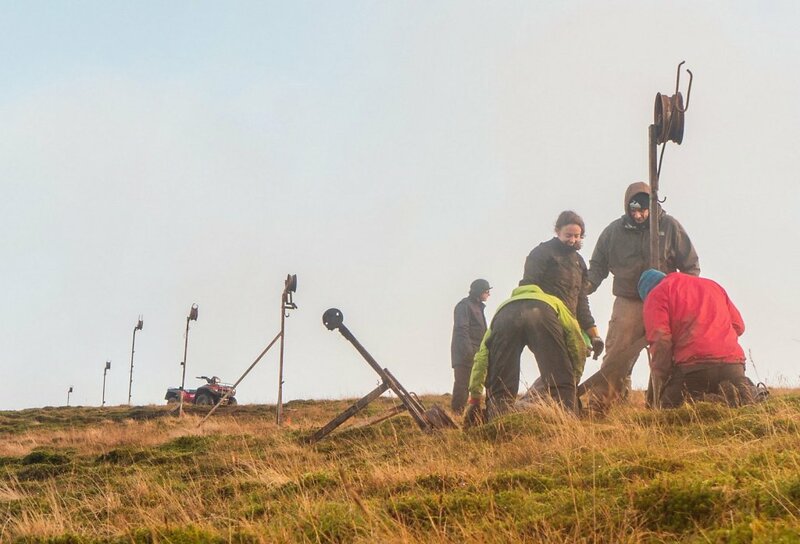 Although we worked in cold and often muddy conditions, the physical effort kept us warm and cheerful. 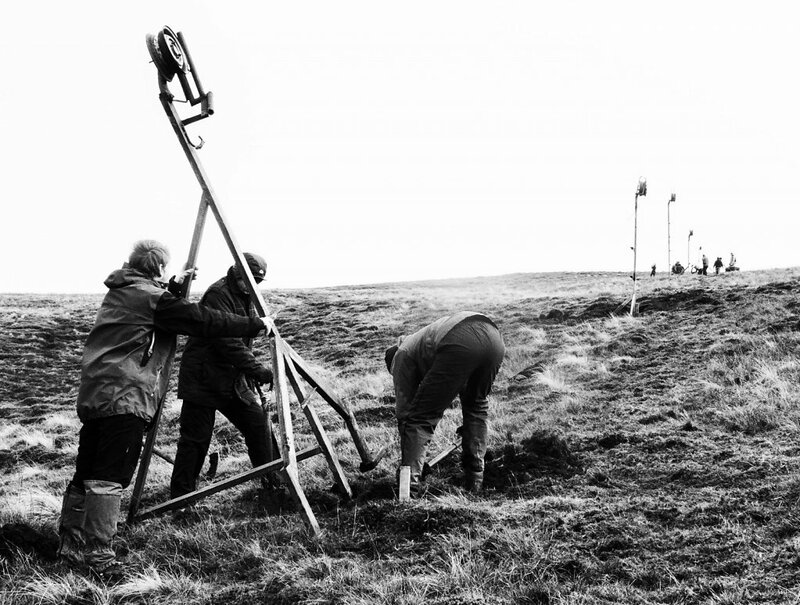 On Lowther Hill, digging in towers - the work parties in October and November 2014 were well supported and most of the ex-Harwood pylons were dug in over the course of just a few weekends. 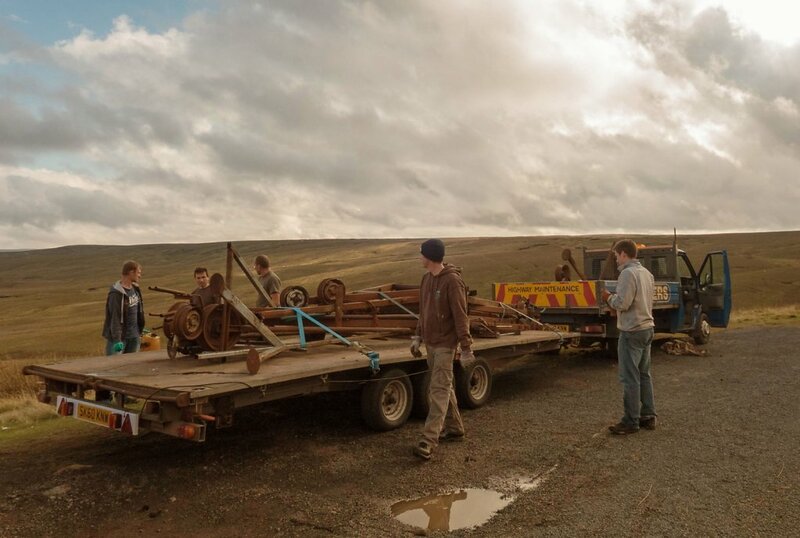 At Harwood, we load the pylons onto a trailer belonging to one of our volunteers, Donald Chalmers of Dumfries who carries it up to Scotland.